I'll be in San Jose for Apple's Worldwide Developer Conference. (See Friday's Login for a preview.) That said, for you readers in D.C., Axios has back-to-back-to-back breakfast events this week — and you are invited. On Tuesday, Mike Allen and Kim Hart discuss one of the biggest topics in town: tech responsibility. Joining them are former U.S. CTO Megan Smith, City of Seattle privacy chief Ginger Armbruster, and Senator Mark Warner. RSVP here. On Wednesday, Kim will examine how will the world will change when we have 5G. More info and RSVP here. On Thursday, Mike and Bob Herman close it out with a conversation on the way innovation is impacting the health care marketplace. RSVP here. Quick take: This would further highlight the complete turnaround the company has already made in its stance toward open source software. GitHub plays into that strategy as it's used by developers of all stripes to store their code projects. The San Francisco-based company was founded in 2008 and is now home to 80 million software repositories. The company has been searching for a new CEO since last year. 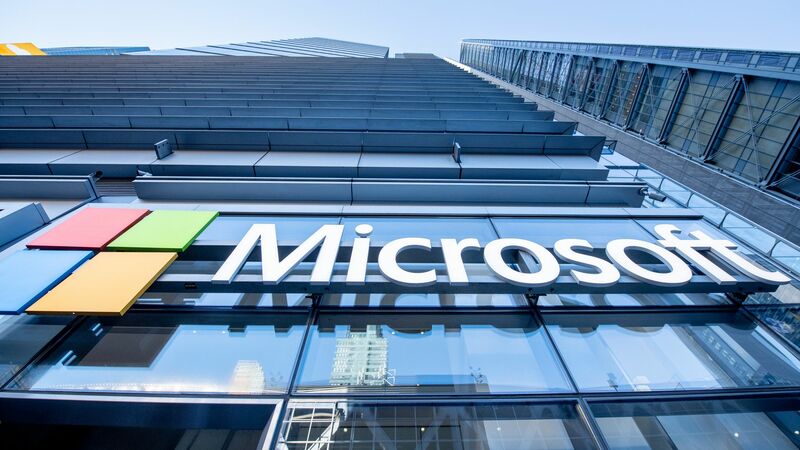 Why it matters: Playing host to the world's code doesn't necessarily make Microsoft a more central player, but it could tightly integrate GitHub into its developer tools. Microsoft decided last year to shut down its own CodePlex software repository, bowing to GitHub's popularity. Last year, the NBA was all about how virtual reality could bring distant fans closer to the action. This year, many of the efforts are focused on augmented reality. What's new: For the NBA Finals, the NBA's augmented reality app has added a portal that lets you climb into various moments from the finals. So you may be stuck in your living room but you can use your smartphone to draw a window and climb into Oracle Arena. "It just brings you closer to the game," NBA EVP Melissa Rosenthal Brenner told Axios in an interview during Game 2 of the finals on Sunday. For now, though, the viewer isn't heading into the live action, but rather 1 of 5 pre-taped scenes, such as past warm ups or player introductions. The NBA also has separate AR experiences for Instagram and Snapchat. What's next: During the offseason, she said the league will explore how to make AR a more real-time experience. The NBA is also thinking further out to when AR goggles become a thing, including a deal earlier this year with the buzzy-but-secretive Magic Leap. Quick take: Arenas only hold so many seats, and with an increasingly global fan base, the NBA wants to get those who can't attend the games to feel as near to the action as possible. If there was one common theme at last week's Code Conference, it was all the apologies. Of course, there were the mea culpas from Facebook's Sheryl Sandberg and Uber's Dara Khosrowshahi. Snapchat's Evan Spiegel, for the way it rolled out its redesign. Stitch Fix CEO Katrina Lake, for letting IPO stock price expectations get too high. AT&T CEO Randall Stephenson, for hiring Michael Cohen. Spotify CEO Daniel Ek, for the way it rolled out its policies on artists' hate speech and hateful conduct. The bottom line: Apology season isn't over. If you turn on your TV quick, you can probably catch Facebook or Uber apologizing right now. Apple's WWDC is in San Jose, Calif. Check Axios.com/technology for live updates starting at 10am PT. MIT Media Lab's EmTech Next takes place in Cambridge, Mass. David Eun is taking on an expanded role at Samsung, adding the title chief innovation officer to his role heading its Samsung NEXT efforts. The Chinese government has launched an investigation into U.S. and South Korean memory-chip makers Micron, Samsung and SK Hynix, WSJ reports. Nokia has completed the sale of its digital health business to Eric Carreel, the founder of Withings. According to TechCrunch, Carreel plans to resurrect the Withings brand by the end of the year. The NYT reports that Facebook gave deeper access of customer data to hardware makers than was previously known. Vermont will pay workers up to $10,000 to move to the state and telecommute, via Quartz. Despite pressure from Congress and the Food and Drug Administration, and various efforts to try to crack down, tech companies still have a big problem with illicit pharmacies, per BuzzFeed. Check out this motherboard cake.